Professional LCD panel with LED backlight excels besides the aspect ratio of 4:3, it also has an 8-bit image processing technology. You will appreciate the excellent resolution of 1600x1200 pixels. 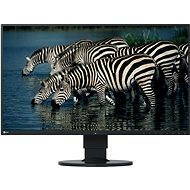 It has a universal use for office applications, CAD, work with photos with true color rendering and home entertainment. EcoView present sensor delivers technology that significantly reduces eye fatigue during long-term work. Height-adjustable stand ensures outstanding ergonomic settings in each workspace. The monitor also has a pivot function (90° rotation). Input connectors represent a digital DisplayPort, DVI-D, but also a standard analog VGA. With the integrated, 2x USB hubs can then be connected directly to a monitor some basic peripherals (flash memory, keyboard, mouse, ...). Users who use this model for games or video are pleasantly surprised with the very fast response time of 6 ms (GG), which blurs the differences between the players still dominating modern technology TN and IPS technology. 21 " (53.34 cm) Done! 1600 × 1200 px Done! D-SUB (VGA), DVI, DisplayPort Done! USB Hub, Pivot, Adjustable height, VESA compatible Done! 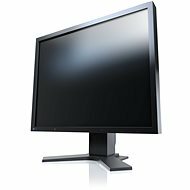 For shipping to other EU countries visit this page 21" EIZO FlexScan S2133-GY. Für Versand nach Deutschland, besuchen Sie bitte 21" EIZO FlexScan S2133-GY. Chcete doručit zboží do Česka? Prohlédněte si 21" EIZO FlexScan S2133-GY. Chcete doručiť tovar na Slovensko? 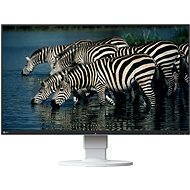 Prezrite si 21" EIZO FlexScan S2133-GY. Für Versand nach Österreich, besuchen Sie bitte 21" EIZO FlexScan S2133-GY. Magyarországra történő kiszállításért tekintse meg ezt a termékoldalt: 21" EIZO FlexScan S2133-GY.